THC and CBD, bioactive substances produced by cannabis and sought by medical patients and recreational users, sprung to life thanks to ancient colonization of the plant’s genome by viruses, University of Toronto researchers have found. “The chromosome map is an important foundational resource for further research which, despite cannabis’s widespread use, has lagged behind other crops due to restrictive legislation,” says Tim Hughes, a professor in the Donnelly Centre for Cellular and Biomolecular Research and co-leader of the study. Hughes is also a professor in the department of molecular genetics and senior fellow at the Canadian Institute for Advancement of Research. The study was a three-part collaboration between Tim Hughes’s team, with graduate student Kaitlin Laverty spearheading the computational work behind genome assembly, and those of Jonathan Page, of Aurora Cannabis and the University of British Columbia, and Harm van Bakel, of the Icahn School of Medicine at Mount Sinai in New York. Hughes, Page and van Bakel first got together in 2011 when they released the first draft of cannabis genome, which was too fragmented to reveal gene position on chromosomes. The new map reveals how hemp and marijuana, which belong to the same species Cannabis sativa, evolved as separate strains with distinct chemical properties. 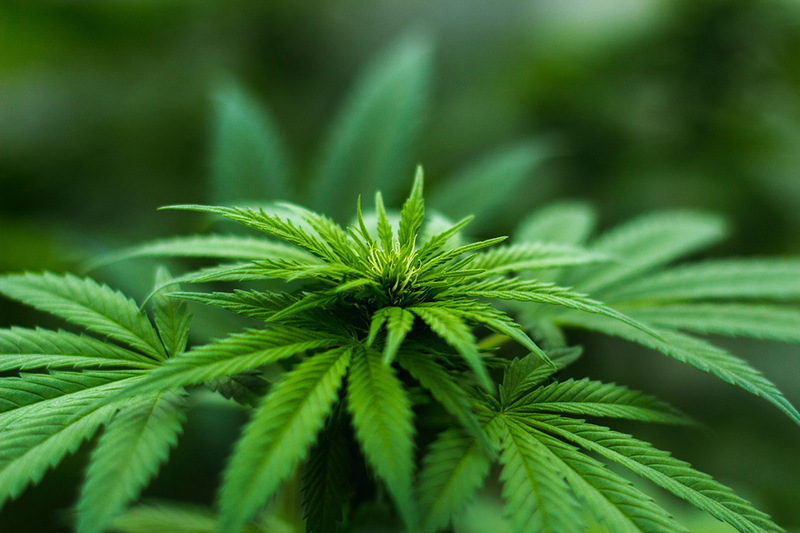 Cannabis plants grown for drug use are abundant in psychoactive tetrahydrocannabinol, or THC, whereas hemp produces cannabidiol, or CBD, popular of late for its medicinal potential. Some people use CBD to relieve pain and it is also being tested as a treatment for epilepsy, schizophrenia and Alzheimer’s. The enzymes making THC and CBD are encoded by THCA and CBDA synthase genes, respectively. Both are found on chromosome 6 of the ten chromosomes the cannabis genome is packaged into. There, the enzyme genes are surrounded by vast swaths of garbled DNA that came from viruses that colonized the genome millions of years ago. This viral DNA, or retroelements as it is known, made copies of itself that spread across the genome by jumping into other sites in the host cell’s DNA. The gene sequences for the THCA and CBDA synthases are nearly identical, supporting the idea that they come from the same gene that was duplicated millions of years ago. Over time, one or both gene copies became scrambled by invading retroelements, and by evolving separately, they eventually came to produce two different enzymes – CBDA synthase found in hemp (fibre-type), and THCA synthase in drug-type (marijuana). Because the enzymes are so similar at the DNA level, until this study it was not even clear if they are encoded by separate genes or by two versions of the same gene. Adding to the confusion was the fact that most strains produce both CBD and THC despite breeders’ efforts to grow hemp varieties free from the mind-altering THC for users looking to avoid it. The chromosome map now clearly shows that two distinct genes are at play, which should make it possible to separate them during breeding to grow plants without THC. The study was supported by the Canadian Institutes of Health and Research.